With just 5 days to go, I’ve been busy backing up my iPhone and iPad, downloading potentially helpful travel apps, and organising my iPhone and iPad screens (as well as downloading some new tv shows to watch on the plane and in the hotels; I know better than to rely on British or European tv!). I read somewhere that it is a good idea to rearrange your device screens so that you save the apps you will use while travelling on your home screen or collect them together on one screen. 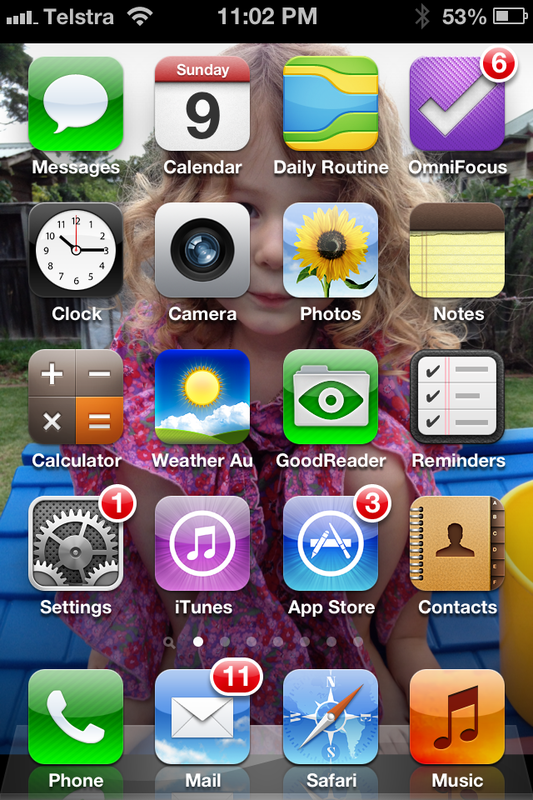 If you’re interested generally in the iPhone apps other people find useful and how they organise them — especially their home screen – then check out David Sparks’ MacSparky blog. Meanwhile, below I summarise the iPhone and iPad apps that Oliver and I will be using on our trip in case you are planning a trip (and/or planning some blogging). Dropbox (iPhone and iPad, free): Dropbox is a free online storage system. I signed up for an account and can upload or download, as well as share, files from anywhere and with anyone. I store copies of my travel documents in my Dropbox account. Facebook (iPhone and iPad, free): An obvious choice for keeping everyone up to date with our movements. GoodReader (iPhone and iPad, $5.49): GoodReader is a PDF reader for iPhone and iPad. 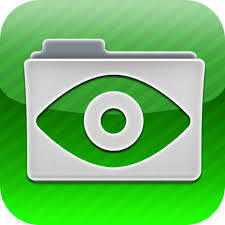 Read any and all documents with ease and add comments into the documents. I upload a copy of my travel documents into GoodReader on both my iPhone and iPad, so when I need to know the address of our hotel, I can glance at my iPhone and not dig out paperwork. Kindle (iPad, free): I have a Kindle reader but I have the Kindle app on my iPad just in case. London Pass (iPhone, free): Oliver and I bought London Passes, which allow entry into a huge range of London attractions. I’m not sure that they will end up cheaper than paying at each attraction but the Passes include priority entry into places such as the Tower of London, which have huge queues in the summertime. This app lists all the places we can visit with a London Pass and how to get there. It also suggests itineraries and lets us bookmark our favourite attractions for a ready-made list of things to do when we arrive. Meeting Gold (iPad, $10.49): Meeting Gold is an app for taking notes and tracking actions in meetings. I use this app every day of my work week for my student supervision meetings and all other meetings. I used to take paper notes in meetings, but didn’t have any reliable system for filing what we discussed and who agreed to do what. Follow up meetings meant flicking back through pages in my notebook (or an earlier notebook). With Meeting Gold I can set up a document for each meeting in my calendar (it syncs beautifully with my Gmail calendar), write any pre-meeting notes, write an agenda, and attach and view any documents for the meeting. During the meeting, I can take notes, tick off agenda items, and refer to the attached documents. I also can easily look back at the meeting document of a related past meeting (or even insert sections from past meetings into a new meeting document). After the meeting I can write a summary of what we discussed and agreed on, create actions for myself or others to follow-up and sync them to my task management software, Omnifocus, then email the document to people who attended the meeting. Meeting Gold automatically backs up my meeting documents to Dropbox. It’s a really powerful piece of software. 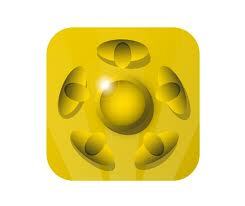 While we are away I will be using Meeting Gold to take notes in conference sessions and any face-to-face meetings. At work I use Meeting Gold on the iPad with an external bluetooth keyboard, but it is fine with just the iPad keyboard and means I will be carrying less each conference day (just my iPad not my Mac Book Pro). Native Weather app (iPhone, free): For day-to-day weather at home I rely on the Pocket Weather Australia app. But when travelling I use the iPhone’s native weather app. It’s not super detailed, but it gives a 5-6 day forecast (now it is cloudy and 12 degrees celsius in London, cloudy and 16 degrees in Aarhus, and cloudy and 13 degrees in Rotterdam. Helpful for packing!). Packing Pro (iPhone and iPad, $2.99): You know that I’m an early packer and I’ve flirted with a couple of packing apps. Packing Pro is my current choice although I am pretty sure it is too complicated for me. Prezi (iPhone and iPad, free): You might also know that I’m writing my Keynote Talk for the Aarhus Conference using online presentation software, Prezi. Prezi also offers iPhone and iPad apps to view, present and edit (minor editing only) presentations on the go. This will come in handy as I practice the timing of my talk in my hotel room. Skype (iPhone and iPad, free): Can you remember travelling when you had to go buy a phone card and then it would run out about one and a half seconds after calling home? Well, Skype makes phone cards and hotel-phone-bill-shock a thing of the past. The only downside is when you can’t find a fast enough wi-fi connection to make a call with video. But it is great for keeping in touch with the kids. Touchnote (iPhone and iPad, free): Touchnote lets you print and send your iPhone or iPad photos and a few lines of text anywhere in the world as real postcards (for US$1.50 each). I haven’t tried it yet and I’m not sure we’ll get much use out of it if we are blogging and updating everyone via Facebook etc. But it might be an alternative to buying postcards, writing them and then posting them when I get home because I couldn’t work out the postal systems of the places I visited! TripAdvisor Offline City Guides (iPhone, free): This app lets us download TripAdvisor reviews, suggested itineraries, maps and other information for cities we visit. The good thing is that the app stores information locally on my iPhone so I don’t need wi-fi or 3G to access it. This is perfect because I will have data turned off to avoid data roaming charges. XE Currency (iPhone and iPad, free): XE Currency converts currencies, either with live rates or with the last updated rates (which the app stored for when we don’t have an internet connection). This will come in handy when I’m trying to work out how much that scarf really costs in Liberty of London! XpenseTracker (iPhone and iPad, $5.49): XpenseTracker is a fantastic app that allows me to record my expenses on the go. It keeps a running total of my expenses, divides them into different categories, lets me take photos of receipts (in case I lose them or just muddle them up), and when I get home, prints out a report. On my previous conference trips I didn’t know to request a paid-in-advance per diem, which meant I had to collect EVERY SINGLE RECEIPT and then claim it all back. So much work although made more palatable by this app! This trip I have a per diem, so now I just need to collect receipts for major items not covered by the per diem, such as taxis to and from the airport, hotel bills not yet paid by my university. So this app will be perfect to keep track. Highly recommended! Photo Editor by Aviary (iPad, free): Aviary is a photo editing app. I read about this on a list of apps highly recommended for blogging on the go. It accesses photos from my iPad camera roll and lets me crop them, frame them, tidy or fancy them up with a range of photo editing tools. I can upload the photos to the iPad either from my iPhone or my Canon camera via the Apple Camera Connection Kit (just a couple of little plugs that slot into the charging port of the iPad). That way I don’t need wi-fi to transfer photos. Blogsy (iPad, $5.49): Blogsy is another app I read about on the highly recommended list. It’s been called “the best blogging app on the iPad”. Whereas the WordPress app (below) seems to expect me to know html markup to write a blog post, Blogsy lets me write posts and insert images and links in a very simple visual GUI. I can then publish them to WordPress and Facebook. Frametastic, Photo Collage, Pic Joiner (iPhone and iPad, free): These apps let me combine two or more photos into a nice collage. This is great for posting multiple photos to the blog. I haven’t yet decided which app I like the best so I am trying a few as they all were free. Native Camera and Photos apps (iPhone and iPad, free): I use the native Camera and Photos apps for taking photos. I’m sure there are fancier apps but these do fine. Native Notes app (iPhone and iPad, free): I also use the native Notes app for taking notes, writing lists, recording important (but not confidential) information, jotting ideas for blog posts. The great thing is that I have my Notes synced to my Gmail account. So the Notes sync across my iPhone, iPad and Mac Book Pro. 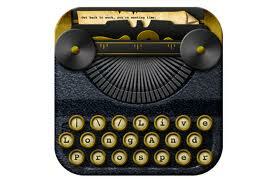 WordPress (iPad, free): Finally, WordPress is the iPad app for WordPress blogs. It’s a bit tricky for writing new posts (I prefer to do it either in Blogsy, as above, or online on my Mac Book Pro). But this app is useful for making any small edits to posts (fixing crappy grammar) or moderating comments. Most of these apps are free. Blogsy, GoodReader and XpenseTracker cost around $5.50 each but are good investments. Meeting Gold costs $10.49 but is excellent value for an app I use every work day. And Packing Pro is $2.99, but I’m not sure I would buy it again. I hope these recommendations are useful! What are your favourite travel or blogging apps? PS I’ve downloaded Game of Thrones Season 1 and House of Cards Season 1 to watch while travelling. Any other suggestions? This entry was posted in Before our trip, Conferencing, Packing, Planning on June 10, 2013 by Amanda Barnier. MotionXGPS is a great GPS mapping app, at 99 cents (http://gps.motionx.com/iphone/ or http://gps.motionx.com/ipad/overview/). Really useful for exploring cities when you don’t want to use the expensive cellular data on your phone. You can download the maps for your area of interest over hotel wifi, then go exploring without getting lost. Also a really cool app to record your tracks, and amaze your family and friends how far and where you have travelled. Great tip, thanks Adam! I was wondering how to do live maps without data. I have the trip advisor app, which I think has maps, but I will check out MotionXGPS. Homeland Security and The Tudors are great series to watch if you haven’t seen them yet. Hi Misia, I caught an episode of The Tudors (out of sequence) and really enjoyed it. So I might try the rest. I recently bought The Borgias, but was trying to watch it while working and found that I needed to concentrate on it. I’ve heard Homeland Security is great, although I am pretty squeamish about violence. Does it have lots of violence (torture etc?). Thanks for the suggestions! The Tudors was certainly a stand out for me. I thoroughly enjoyed the series and was so sad when it came to an end! Homeland Security is great and it doesn’t have too much violence. You would enjoy the psychological component of the show. The Borgias is on my list, as I am presently reading “Blood and Beauty”.